Heating and Cooling Systems without Air Ducts? Tell Me More! Are you looking for a more efficient, cost-saving and dependable solution to the heating and cooling system for your home? Want to heat up a freezing garage or cool off your kitchen? Are you still using a window AC to cool your den? Have you thought about that “bonus” room over the garage? Have you always wanted to finish the basement? Ductless heating and cooling systems are excellent for a variety of applications and their popularity is skyrocketing. True to its name, a ductless system doesn’t require extensive and intrusive ductwork to transport air throughout a building. Ductless heating and cooling systems consist of the main compressor unit that is installed outside the home as well as a series of indoor air handlers. Rather than using a series of ducts, these air handlers are connected to the outdoor unit via a small conduit that runs through your walls. Each indoor unit can be controlled and adjusted individually to heat or cool a certain area. Air is blown directly into a space instead of being transported through ductwork to get to its destination. Because a ductless system is designed to transfer outside air and heat or cool depending on your needs, your HVAC system is one, simple assembly, easier to manage, service and maintain. Sure, you going to have to have your ductless system serviced on occasion. What HVAC system doesn’t? In most cases, however, routine system maintenance is limited to keeping indoor filters and outdoor coils clean and these tasks can easily be performed by the homeowner. 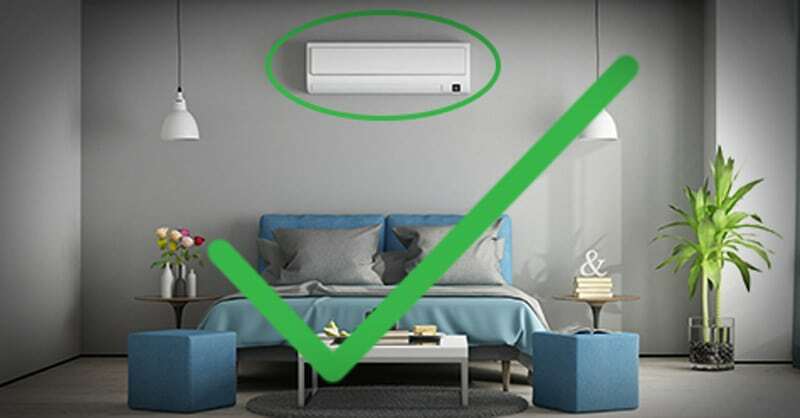 Note: You may also hear ductless systems referred to as mini-split, multi-split or variable refrigerant flow (VRF) heat pumps or air conditioning systems. Fact: Did you know that ductless heating and cooling has been in the United States since the 1970s? It’s also a primary system used throughout many homes in Europe and Asia because of efficiency. Why Choose a Ductless (not Duckless) Heating and Cooling System? Offers a great heating and cooling solution for older homes that were not constructed with a ductwork system in place. The current ductwork system is subject to high fuel costs and low efficiency. The homeowner has added onto their home or finished a basement or attic. There is a room or space that is too hot or too cold. Ductless heating and cooling systems are perfect for sunrooms, guest houses, workshops, nurseries, artist studios, garages, basements, home offices, home theater rooms and “man caves.” Plus, they can be used to heat, and cool entire homes, condominiums, and apartments. Planning a new home? New home designs can be easily adapted to take full advantage of ductless heating and cooling systems. No matter the size of the home, a system can be devised to streamline installation and maximize energy efficiency. Thinking about adding a new room? Expanding your ducted system often involves lowering ceilings or otherwise taking away space. Ductless heating and cooling systems are the easy options to eliminate a step of construction for your home when adding a new room. Going ductless is also the perfect upgrade to inefficient baseboard heaters and noisy, view-obstructing air conditioners. Rather than extending your home’s existing ductwork or adding electrical resistance heaters, a ductless system delivers efficient heating and cooling and is quicker and less expensive to install. Ductless heating and cooling systems not only do away with large and difficult-to-install ducts throughout your house but they also provide cost savings and flexibility that a traditional air conditioner and heating system cannot offer. Other Benefits of ductless heating and cooling include the following. Because of the simplicity of ductless systems, installation is easier, faster and less expensive for most homes. Let’s face it, it’s far easier and quicker to fish a narrow bundle of insulated refrigerant lines through a house than to retrofit bulky HVAC ducts. No costly or invasive ductwork is needed and there is only minor disruption to the property. The outdoor unit is located beside your home and small piping leading to the indoor unit(s) requires only a three-inch hole in the wall. In most instances, an HVAC professional installation team can install a ductless system in a typical home in just one day. Your J&A South Park team is highly trained and experienced in the proper installation of ductless heating and cooling systems. If you live in an older home – and there are plenty in a place with a long history like Pittsburgh – you more than likely don’t have space for ductwork. With a ductless heating and cooling systems, you no longer have to rely on space-consuming window ACs for your summer cooling. Not only are these window units unsightly and underpowered, they can also make your home less secure. Ductless systems deliver cooling and heating around your older house without having to make any drastic changes to the structure. Ductless heating and cooling systems provide any number of custom options in terms of installation and design. For example, many homeowners prefer different areas of their home to be different temperatures, a scheme known as heating and cooling zoning. Each of the zones will have its own thermostat, so you only need to condition the space when it is occupied. You can also keep the rooms you use most at precise temperatures for comfort. Keep the kitchen a bit cooler than the rest of the house or maintain the garage at a comfortable temperature. It’s your choice! Even difficult-to-maintain rooms are easily controlled with a multi-unit system, yet again, because each area has its own control unit. You can also better heat or cool areas where a duct system just can’t reach or work quickly enough. Moreover, the indoor units can be installed on a wall, floor mounted or as ceiling cassettes. Wall units come in a variety of sizes that best fit the usage of the room and are offered in several colors that blend seamlessly with your furnishings. As noted, ductless systems are perfect for addressing heating and cooling issues in a concentrated spot in your house, such as hot or cold spots in individual rooms that don’t have existing ductwork. For such targeted heating and cooling, the single zone ductless system is perfect. However, these ductless systems are also ideal for conditioning more than a single room. Depending on the model you select, the outdoor unit alone can provide heating and cooling for up to nine zones or rooms in your house. 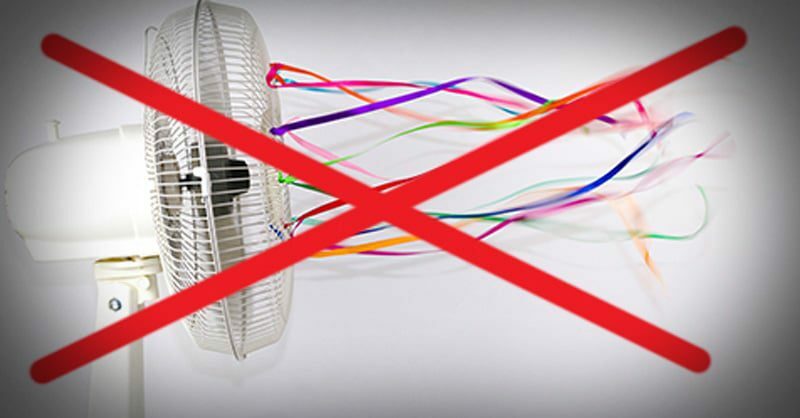 One more thing – most ductless systems are designed to keep a room cool in temperatures up to 115 degrees F and warm in temperatures as low as -15 degrees F. So, while your neighbors shiver or swelter as their traditional system struggles to keep up, your living spaces can easily remain temperate. Your J&A South Park professional can help you determine the best location for the indoor unit(s) based on your preferences and the layout of your home. As noted, in a conventional system, conditioned air is moved through your home via a system of ductwork, located all throughout the home, including in the crawlspace, attic, and walls. Aluminum tape is often used to seal the seams between duct pieces, and insulation is used to separate the ductwork from areas such as attics or crawl spaces. If either of these is not done properly, the result can be air leakage, meaning an inefficient system (which will cost you money) and even early failure of your heating/air conditioning equipment. 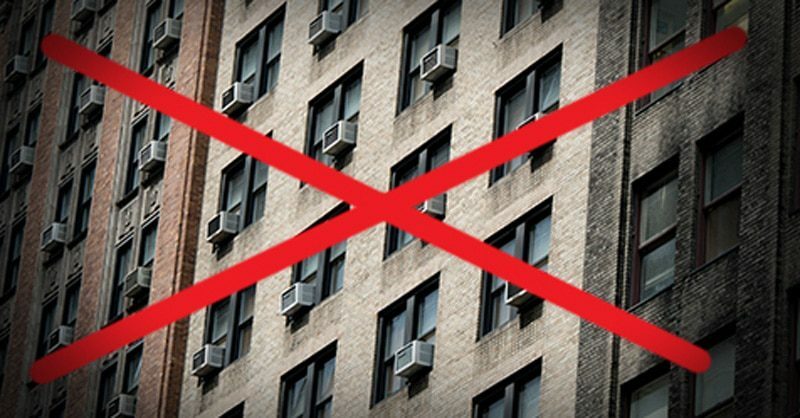 If you choose a ductless system, there is no risk because the system doesn’t use ductwork. Having no ducts also means that the whole system does not have to start up each time you switch the system on and off. Ductless heating and cooling systems are much smaller, which also translates into less power usage. In addition, the temperature-controlled air of a ductless system is delivered directly into a room instead of throughout an entire building. This means you don’t heat or cool rooms that aren’t occupied for added energy savings. Moreover, these highly-efficient ductless systems feature state-of-the-art technology that automatically responds to your needs. There’s no fiddling with the settings – the programmed temperature is sustained by continuous monitoring that not only keeps you comfortable, it also prevents excessive heating or cooling, dramatically cutting your energy and operating costs. Just set the thermostat and let it maintain your home’s comfort. Put simply, modern ductless systems are designed to provide the best energy efficiency available today. Fact: Conventional ductwork is vulnerable to extremes of heat and cold. If left uninsulated in a warm area or in a spot with a lot of sunshine, the air inside can be warmed, reducing the effectiveness of your air conditioning system. The same principle applies to ducts in cold parts of the house when attempting to heat your home. As a traditional heating and cooling systems move air from the outdoors through ductwork, it is also moving dirt, dust, and dander into the home. This dirt, dust, dander, and other allergens can decrease your indoor air quality, increasing the risk of allergy symptoms and triggering a surplus amount of dust and debris in the home. This could lead to some serious health concerns for allergy sufferers. Filters in ductwork are typically used to capture this debris and allergens, but not always efficiently. If the filters become stopped up and not switched out regularly, less air will be able to move into the home. With a ductless system, there is no risk of debris, allergens, or pollutants moving from the outside in. Ductless heating and cooling systems are far more energy efficient because they offer zoning capabilities, which not only saves money but also shrinks your home’s carbon footprint. These systems also utilize the latest advances in chemical technology, reducing the potential harmful effects on the environment. Most ductless systems use R410A refrigerant, known for its zero-ozone depletion potential, meaning your system will have less impact on the environment over its lifetime. I Can Barely Hear It. Is It Working? Imagine someone whispering to you from five feet away. That’s an example of how quietly a ductless system can operate. Compressors and condensers are located in the outside unit, making indoor air conditioning extremely quiet and peaceful. It’s a nice treat to have perfect quiet and not have to listen to a centralized system or a rattling window unit. It’s heating and cooling that is truly ultra-quiet! Pretty darn well! Single or multi-zone, heating and cooling or just cooling. Whatever your needs, whatever your space, however, you want to use it, ductless heating and cooling systems offer customizable solutions that are easy to install, energy efficient, quiet and environmentally friendly. For complete details, contact the professionals at J&A South Park. We are a ductless systems expert in the Pittsburgh region and offer free installation estimates, special offers, parts and labor warranties as well as 24-hour emergency service.